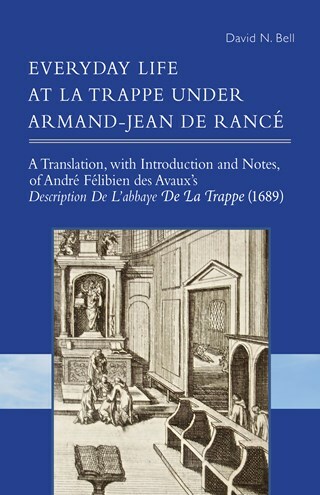 This is an annotated translation of the classic Description de l'abbaye de La Trappe, the most important eye-witness account of life at the abbey of La Trappe under Armand-Jean de Rancé. The work includes a map showing the physical layout of the abbey and detailed discussions of the monks' daily life and practice. It was written by André Félibien des Avaux for Jeanne de Schomberg, duchess of Liancourt, in 1671, with a new and enlarged edition being published in 1689. That is the edition translated here, with copious notes to help the reader appreciate Félibien's account. David N. Bell is professor emeritus of religious studies at Memorial University and a fellow of the Royal Society of Canada. He retired as head of the department of religious studies at the end of 2011. He has published some two dozen books, more than a hundred articles, and a great number of book reviews. His most recent book, published in 2017, is A Saint in the Sun: Praising Saint Bernard in the France of Louis XIV (Cistercian Publications). "Why would an account of the daily life of monks and their dynamic, inspiring, also, controversial Abbot capture the religious imagination and become one of the most popular books of seventeenth century France? Thanks to David Bell's excellent translation and notes we are now able to find out for ourselves. This riveting account of a fascinating world unknown to most of us will delight monastic scholars, historians, and anyone interested in the origins of Trappist life and thought. It is an engaging piece of work, which reads like a historical novel. Indeed, Bell has given us a treasure in bringing this work into English."